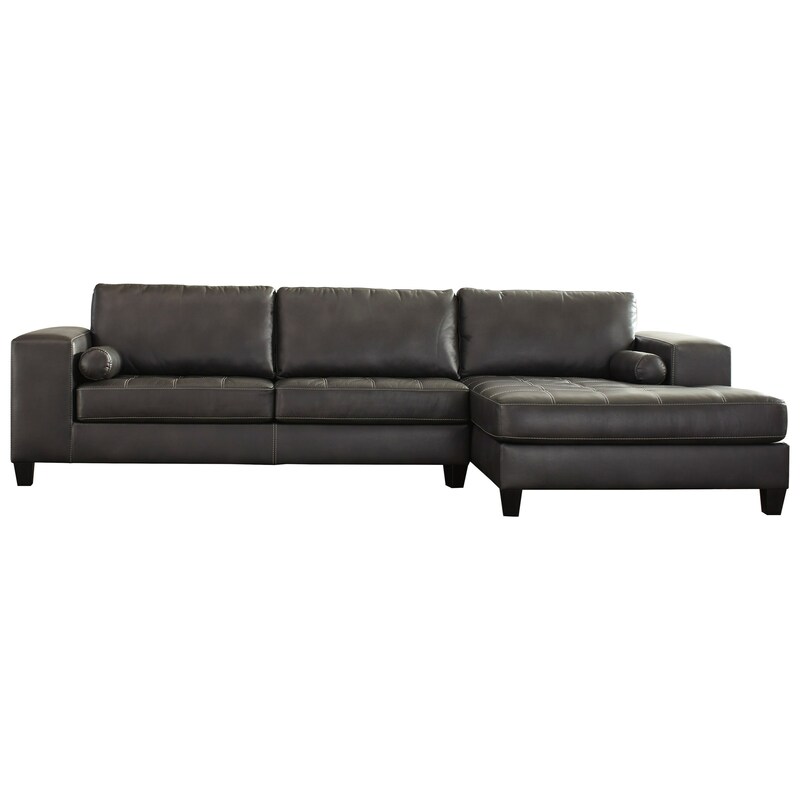 Make a style statement with this modern sectional with a chaise. It offers a sleek, Euro-inspired look with wide track arms, two bolster pillows, accent stitching, and buttonless tufting. 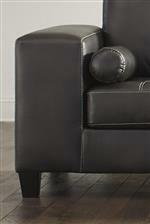 The faux leather options provide a great neutral look for your living room decor. The Nokomis Contemporary Faux Leather Sectional with Right Chaise by Signature Design by Ashley at Michael's Furniture Warehouse in the San Fernando & Los Angeles area. Product availability may vary. Contact us for the most current availability on this product. 8770166 LAF Sofa 1 85" 37" 37"
8770117 RAF Corner Chaise 1 49" 67" 37"
Numerous modern details elevate the style of this living room furniture collection. These pieces are big on style and big in size, offering plenty of room for friends and family to lounge comfortably. Matching accent ottomans are also available to pull together the look of your room. The Nokomis collection is a great option if you are looking for Contemporary furniture in the San Fernando & Los Angeles area. Browse other items in the Nokomis collection from Michael's Furniture Warehouse in the San Fernando & Los Angeles area.